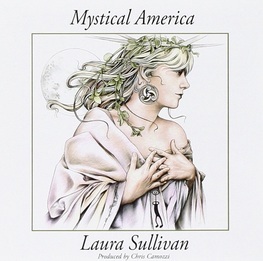 My latest musical discovery is Laura Sullivan, a Renaissance woman. Musically educated from the age of four, she is a talented composer, producer, arranger, vocalist and pianist, who just happens to have a psychology degree. Throughout a brilliant musical career, she has combined inspiration and science into a unique body of work: rich, evocative, atmospheric music, subliminally structured for relaxation and meditation. In our category-obsessed world, her music has won Grammy Award recognition in the New Age genre. 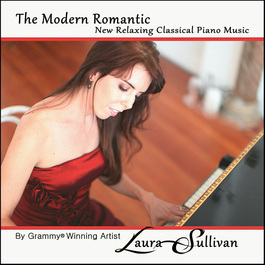 I am thrilled to have been included in a group of early reviewers for her newest release of original compositions (due out in May 2016) called, "The Modern Romantic". 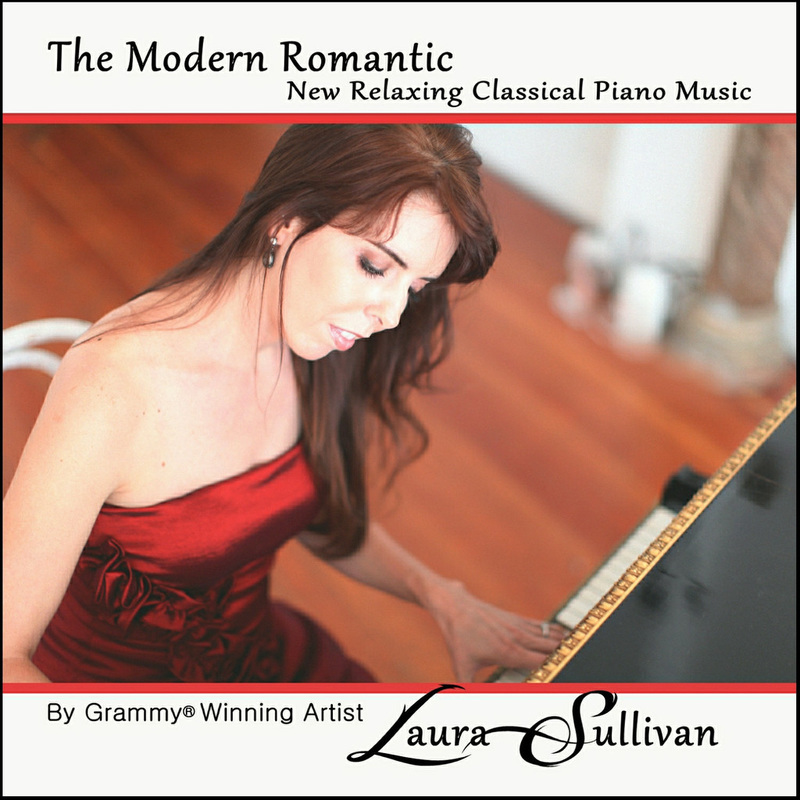 The latest collection of piano compositions by Laura Sullivan was graciously provided to me for evaluation and I am delighted to say that I loved it as much as her previous work, although in this one there is a different departure point and overall mood. Romantic describes it very well. The first time I heard it in its entirety, it made me think of a journey through a love affair, exploring all the stages from that first incredulous moment when one realizes what has happened (Winds of Magic), followed by the mixed states of doubt, elation and fear of letting oneself go (Moonlight Romance). The whirlwind of emotions and uncomplicated joy of the lovers coming together (Timeless), followed by a disagreement and perhaps a parting of the ways (Come Home). The contemplative sadness of regret (The Most Beautiful Girl in the World) where Laura's haunting vocals overlay a lovely piano phrase. Finding You Finding Me is a curiously questioning, unresolved piece that perhaps more than any other track here displays the circular nature of many of Laura's compositions. The Princess Dance follows on in the same mood but with a dash of rising optimism. Perhaps there is still hope for the relationship? The mood turns dark again and there is much to remember and grieve over (A Tender Obsession) as the piano skims through lively and sad passages in turns, chasing on to an upbeat ending which melts almost seamlessly into the high spirits of Fairytale Waltz. Here I found the only jarring note of the whole collection. The vocals had a fabricated and artificial sound that, to me, distracted from, instead of enhancing, the simple, playful and light-hearted piano line. The final track, I Will Remember, definitely feels like a final goodbye. It's time to look back on the good times but also recognize that it's all over. Romantic doesn't always imply that there is a happy ending. 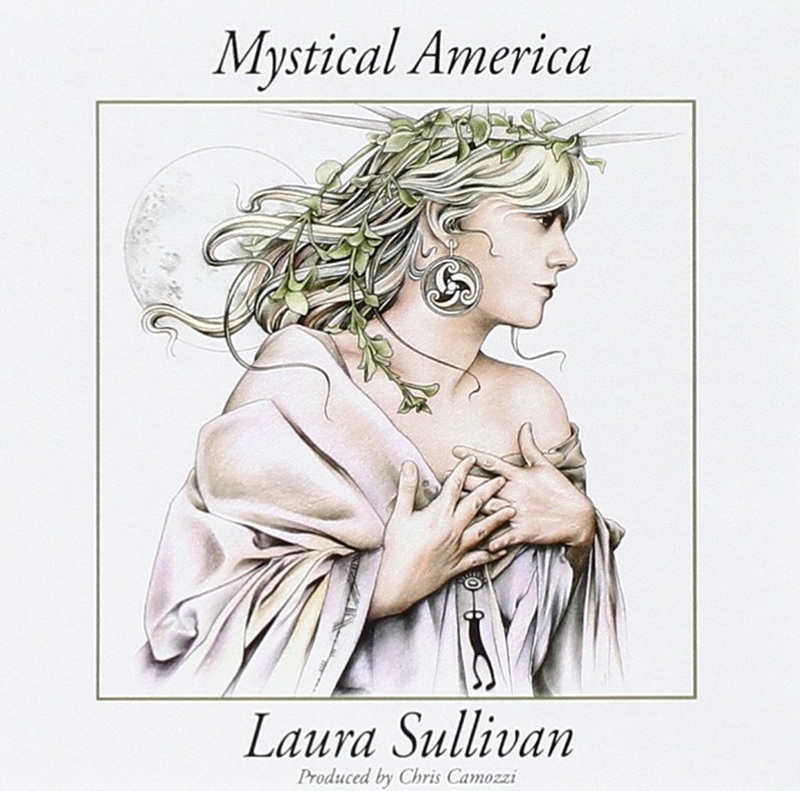 Laura Sullivan's confident touch tells a beautiful, complex story with feeling and empathy. Her emotive piano is gorgeously complemented by the exquisite interventions of Wojtek Slawinski on cello and the poignant violin of Gabriele Schiavi. To me this is hardly “easy listening”. Yes, it's lovely music that can be played in the background while doing other things, but it ends up being much more immersive and involving that one would imagine. Certainly suitable for meditation, whether you are setting aside some time for a dedicated session, or simply grabbing a few quiet moments to admire a beautiful sunset or reflect on the day gone by. As I have come to expect, the production is exceptionally smooth and rich. Lovely music to savour again and again. Probably one of my favourites. Really beautiful production. Nice balance from the featured strings, cello and violin accenting a rippling piano like a stream breaking into small cascades. It harks back to the feel of a mystical Irish heritage – superb chill-out music to watch the day fade into a perfect sunset. The rhythmically insistent piano gives way to an airy, floating counterpoint. The piano is higher in the mix dialoguing with a very steely classical guitar. Very atmospheric, for me it captures the feel of wide open spaces. I could imagine myself in a low-flying sweep of rocky canyons. Definitely, a seascape glimpsed from the inside. As a child, I used to be fascinated by the underwater sequences from National Geographic, with the camera following a school of small fish abruptly changing direction, glimmering in sun-streaked water – algae waving gently in the foreground. Loads of atmosphere here – ethereal, mood-drenched, wistful piano slowly tinkling out clear, watery notes. No sharp-edge surprises in these compositions so you can relax and mellow out and let your mind wonder. There is a circular sense of watching a fairground wheel slowly rotate, catching the sun on metal and throwing off spears of light. A soulful Bach tribute suggesting then concealing some other piece, flirting with our individual memories. Everyone will remember something heard before, only to lose the way and enter a different branch of the maze. A wedding hymn, a sonata, a well-loved song within reach yet elusive. A musical chocolate box. Very smooth, very sweet. Plaintive piano phrases washing like waves and converging for a brief moment before drifting apart in an endless dance. This piece tugs at my emotions: fate, happiness, regret, longing, contentment, compassion, the passing of time, reflections of good and bad times. It's gently sad like rain rivulets running over glass. An effortless transition from the previous track, so the mood is maintained. A light, playful touch on the high notes on the right weaves a hypnotic, hazy veil of melodies that swirl around. I imagine standing on a high rocky ledge, letting my gaze slowly track over a vast expanse of valley to the distant mirror rock formations, under a high, gloriously blue sky and the perfect day shining. This music makes me think of places where the past still hangs and gently reaches out to the present. I have felt that compelling but uncomfortable presence in the Colosseum, on the banks of the River Ness, at Culloden and at Stonehenge. Also when I visited Pompei as a child on a school outing. Close your eyes and let yourself be transported backwards in time. Half-way between reflective and addictive, this composition is a play of scales and repetitions building a sombre but peaceful cradle of sound with the piano marking time and setting a wavery pace. Sheets drying in the breeze, a field of corn swept clean by the wind, bending tall grasses and the distant smell of the sea wafting by. A more complex melody spanning the contented silence after long-parted friends have said all there was to say - for the moment. Reflections in a glass of something comforting and caramel-coloured, flames licking stained bricks, shadows lengthening across moonlit stretches, peaceful night-time creaks and the deep call of an owl. This is another personal favourite. A sea race, strong winds filling huge sails, the slap of waves on hulls, the roar of the deep, the untrammelled power of the ocean carrying the chilling threat of barely submerged volcanoes. The piano chases along a restless motif changing like a headwind while fast clouds of sound duck in and out of mountain peaks. Fascinating and awe-inspiring. 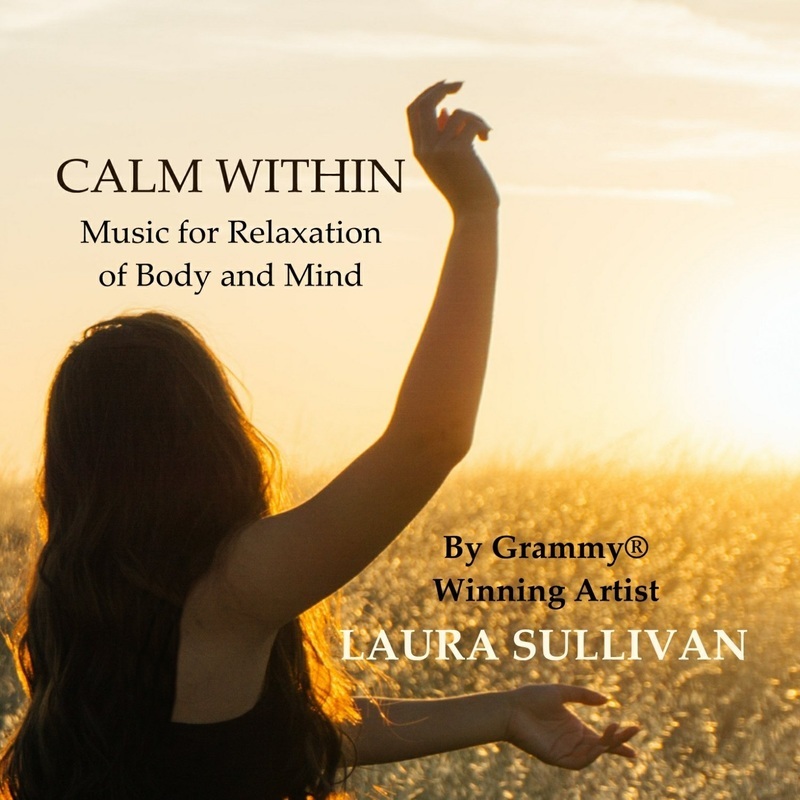 Laura Sullivan's moving interpretation of the famous Beethoven standard, possibly one of the most well-known pieces of music ever composed, lasts around 5 minutes and puts the crowning touch to a lovely collection. My father introduced me to classical music when I was seven or eight. This sonata was a favourite for both of us. It sounds foreboding but there is a wonderful life force about it. The piano bass notes predominate but the wind instruments have their say. A gorgeous epilogue. The production values of the whole album are outstanding, although there are the odd clicks and little noises like glass tinkling that I find strangely appealing. All the tracks are mellow, atmospheric and conducive to reflection and, ideally, peaceful thoughts; and they segue from one to the next without any startling changes of mood. This is not drowsy, dull music; on the contrary, the spherical nature of some of the refrains exerts a powerful spell that enhances meditation, but also does not disturb reading or slow exercise like stretching and yoga. If you need a calming head-space after a long day of stress and discord, try some of this musical therapy. It works for me. Despite my self-delusion of being a cool, calm and collected person, my husband and anyone who really knows me will agree that I have a very nervous disposition and, at the best of times, find it very difficult to relax. 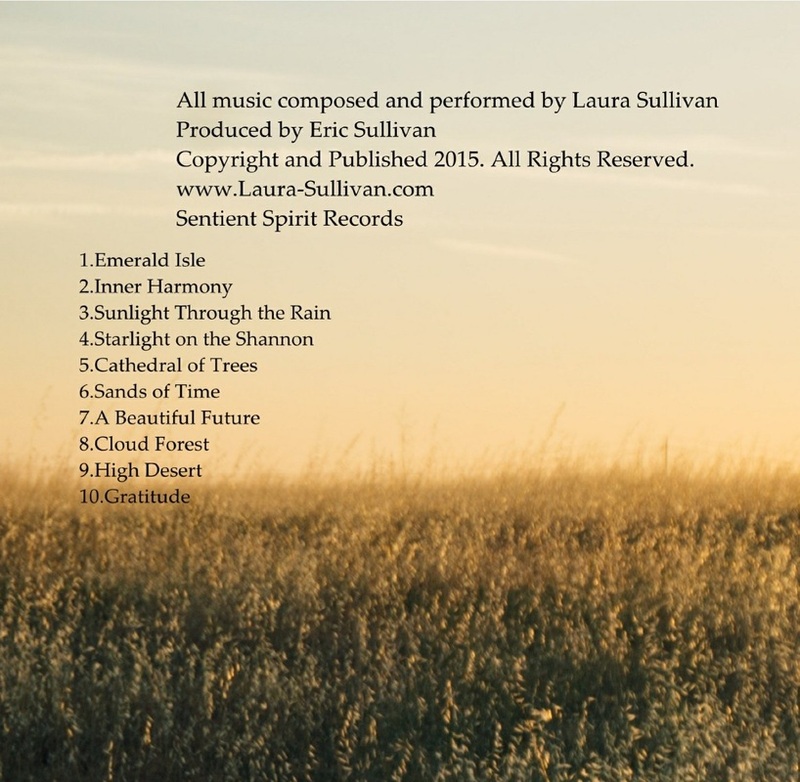 Lately, and I mean the last few years, things have deteriorated even more, so when I was offered a free download of this new CD by Laura Sullivan, I accepted with a fair amount of scepticism. The first time I listened to it, I was starting my daily workout in a really bad mood. The first track “Emerald Isle” began and I found the repetitive harp-like motif slightly irritating. Then the vocal flowed in and I started to think of the sea, calm waves smoothing the sand, and the sound of wind through trees. By the middle of the second track, “Inner Harmony”, my repetitive motions and the luscious soundscape coming out of my speakers were conspiring to quieten the unrest. Normally, when exercising, I listen to music with a strong beat and fast tempo, but somehow Laura's haunting strains suggested an alternative rhythm that worked just as well. Listening to “Calm Within” is like stepping into a seductively relaxing bath of sonic serenity. The compositions are very cinematic and sweeping in their character and remind me quite a bit of the work of Craig Armstrong, although Laura's work here is tailored specifically towards offering her listener a warm, soothing, and enveloping respite from the noise and bustle of a busy day - and I think she succeeds brilliantly. I had intended to comment on each of the ten titles in her album, however, listening to it on repeat, I found myself thinking that to do so, I would have to break the spell and mood that her music had cloaked me in, and really I would have to force myself out of the “calm within” if I were to concentrate on separating each title from the whole. There is a feeling that the waves of excellently produced sound quietly charm one, sometimes harkening back to the leafy open countryside of a Celtic heritage, and sometimes conjuring up the ocean and the billowing winds that come through in satisfying swells of beautiful orchestration. But the mood is never disturbed, and one can be confident of the consistency of soothing, relaxing and wonderfully melodic sound. 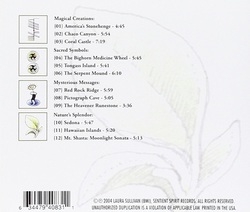 I now play this CD through headphones in bed, as I read, to help me glide into sleep. Excellent work by a 2014 Grammy Award winner – soothing, beautiful music, not much else one need say.